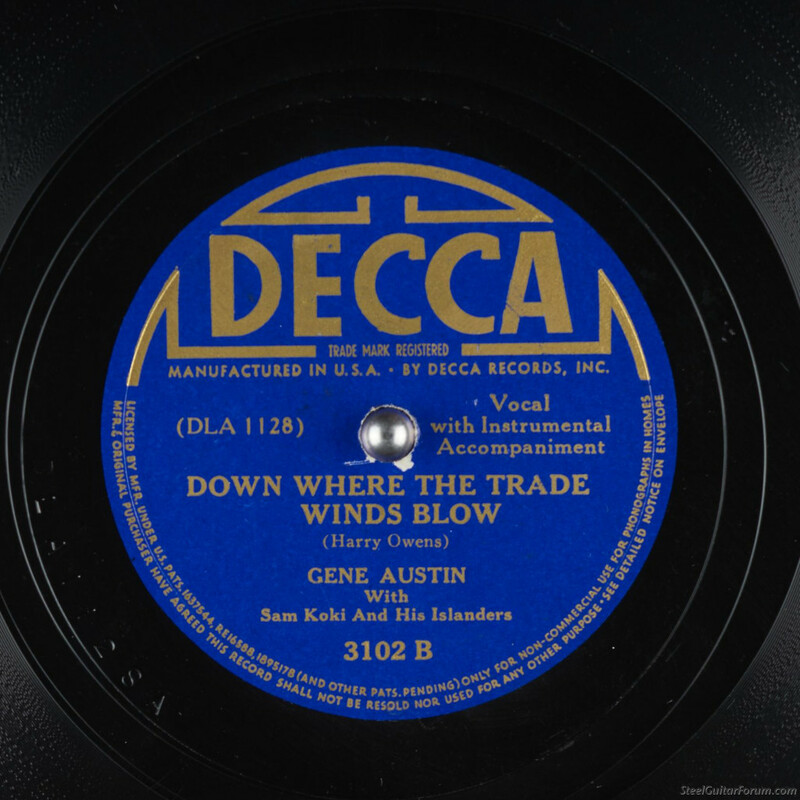 Doesn't anyone play the song "Down Where The Tradewinds Blow" anymore. I haven't heard it in many years and it wasn't played much back in the day. It was used in a good movie years ago. And how about "Make Believe Island". Lots of others I keep remembering that I never hear anymore. Perfect for lap steel. in the late 40's. Sure would like to hear more now. Here is probably my favorite at this time. Maybe some others will post their favorites. Keep remembering all those old goodies. Can't beatem'. Sung by Gene Austin, any ideas on the steel player? has great scenery also. You can probably get a copy of the DVD from your local library. I am working on an E9th arrangement of this song. There is a song by the same name done by Marty Robbins but it seems to be quite different from the original. other forum members might enjoy these. Jerry Byrd on steel guitar of course! The playing on Donova's reef was done by Barney Issacs..
Really good stuff guys. Thanks!